We craved the interaction, but needed the other party to take the initiative, too scared and embarrassed to take tat important first step. The days of high school dances are long gone (thank God), but there is still a need for people courageous enough to take the initiative. We all need encouragement, so take the first step and encourage others. In doing so, others will be more likely to reciprocate. We all need to feel valued, so take the first step and show how much you value the people around you. In doing so, you are more likely to hear about how valued you are. We all need love, so take the first step and act in love towards others. In doing so, you are making yourself available to be loved in return. 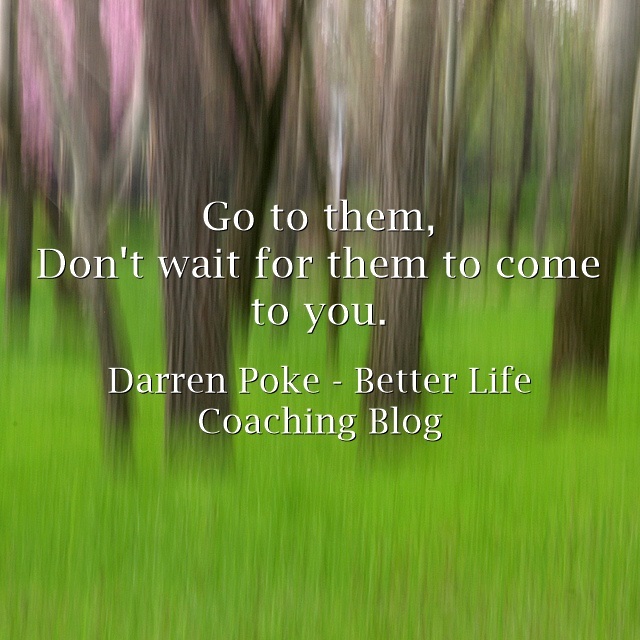 Go to them, don’t wait for them to come to you. And don’t do these things just to have them returned to you,. That can come across as desperate, needy and all kinds of weird. Do it to change the mood of the people around you. Do it because others are waiting for someone else to take the initiative. Do it, and change the world. Wonderful sir…very nice post..Thanks 4 sharing with me.